Having hardwood flooring in your home is a great thing, it adds a certain character to your home, and almost any kind of hardwood greatly improves the overall look. The only problem is, how do you really know how to care for them? If you had them installed, you probably were instructed in the matter, but if you moved into a home that already has them, you will need to know a few do’s and don’ts. And remember: you are not caring for the wood itself, but rather the shiny coating on top of it. -Vacuum after you lightly sweep if it’s been more than a few days since you last cleaned the floors, a broom will put more dust and hair in the air that will just resettle than a vacuum will. 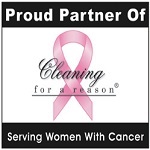 -Dry mop before and after you mop to remove any leftover dust, hair, and other particles. You can use a swiffer or a microfiber mop. 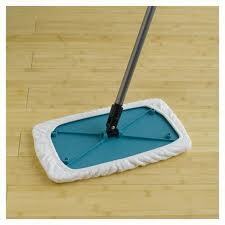 -To wet mop, we recomment using a flat-head mop with washable mopheads. You will have more control over how wet you get the floors. The best thing to do is wet the mophead in the sink, and wring out until it is no longer dripping, put on the mop and spray the cleaner directly to the mophead. You never want to spray cleaner directly onto the floors. As for what cleaner to use, we recommend Bona. Click Here For More Information On The Product. -Wax your own floor. Leave that to a professional. We have seen many damaged floors because clients wanted to do it on their own, and it came out uneven, and any dirt or hairs left on the floor before waxing become stuck underneath. The only way to fix this is to have the floors professionally buffed and refinished, which can come with a hefty pricetag. -Use oil soap on finished hardwood. The forumlas are outdated, and over time will leave a film on it similar to candle wax that can only be removed by a professional. -Drag furniture across the floors without padding. They will scratch your floors, and that is just a pain to mess with. 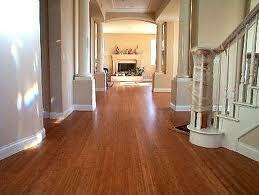 -Use ammonia, it will wear away the finish and make your floors dull and unsightly. Check out ehow.com’s article on caring for your floors for more great info!